It's Missing 2 battles to be posted the result .. we are waiting for the results to be able to continue with the 64 Last. The groups have until 23:59 (server time) on November 17 to announce the results. Groups that do not post the result lose -100 points in their difference. With this measure, we want to make the topic more organized. We got the long-awaited phase direct battles! This is the 64 classified ads, separated by the general classification. Attention, In case there is an error in this Ranking Please contact us vi PM so we can correct. After 11:59 PM on November 25, we will no longer correct the spreadsheet. and the clashes will remain. Other information for alignment will be posted shortly. @captain-azema555 Please look at the official WCC document and maybe you will understand. The home team will be the creator of the league. Groups that do not publish the Alignment within the established deadline will be penalized at -100 Points, if there is no publication until noon 23/11 (Dutch time) the groups will be eliminated from the competition. other information such as the league to be played and how to create the league will be posted after the end for publication of the alignment. 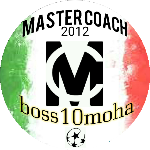 Hi man i answer in place of my crew member @camillo79 and on behalf of the whole Master Coach. I think that the behavior of EXODUS BR/PT towards us but also against MAFIA and Total ReBorn it's disrespectful. I also know that the Total ReBorn have nothing to do with it and so I will not accusing them for anything, but i only congratulate for the reachement of the next round. I think that this situation penalizes Master Coach crew because the Total RoBorn passed to the next round thanks to a victory (the only victory of the group stage) for abandonment (Tabale VIctory) while we had won against the Total RaBorn in the first round (The only victory of group stage) while we lose with EXODUS BR/PT that after who have left the next round vs Total ReBorn. I also share this massage of aTotal ReBorn member that after the news of EXODU BR/PT abandonament,which confirms the fact that in this situation the organizers had to manage it in another way and they themselves thought it would be handled differently. So what happens to their Round 1 and Round 2 results? Do they get deleted or they will remain? I think the organizers are intellgent person and they understand my request. And apologize me if I made mistakes but I'm not good with enghlish. Unfortunately the exodus group ceased to exist, as other groups abandoned the WCC 18/19 competition. I can not undo a first and second round results. and for the balance of DIF the group Master Coach did not qualify. For the rule is very clear with abandon, and loss of W.O, As it was in other editions..